Embrace life by exploring the world. 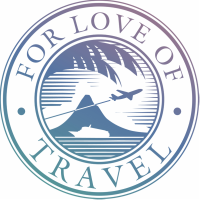 Whether you start small with a trip close to home or venture abroad to a far-off corner of the globe, For Love of Travel will help you discover the beauty of the world and joy of travel. Fall in love with the world, one journey at a time. Click here to join our mailing list and be entered to win a Free Vacation! Check out our exclusive online magazine, published every other month.